Let’s get greedy! Oregon played for the national title and picked up a top-20 recruiting class in 2015. Now is the time to use that momentum to bring in a boatload of top prospects for the next recruiting cycle. Top 10 recruiting classes in the Helfrich era may start in 2016 and be similar to the 2011 top 10 class, which came on the heels of Oregon’s first appearance in the national championship. 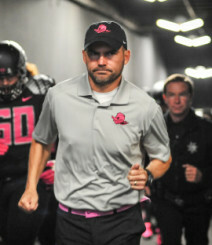 Coach Helfrich could land Oregon’s second top-10 recruiting class in 2016. It’s no secret that the Oregon football team has needs at specific positions. 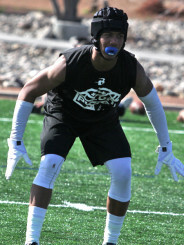 I made a list of some of the top 2016 players nationwide at these positions. I divided this list into two areas, as shown below. Hopefully, the coaches will dive into these areas by shotgunning offers throughout the nation, thereby increasing the odds of picking up commitments. The SEC has topped recruiting for so many years that it has become a rarity if there are not at least six of its universities with top-10 classes each year. It is typical for these schools to hand out scholarship offers like candy in a parade. The SEC claims only three schools that have not offered more than 100 scholarships to class of 2016 prospects. Tennessee has offered more than 200, and Kentucky is seven offers away from 200! The Pac-12 is quite different, taking a more methodical and deliberate approach. As of now, only two of the 12 schools have offered more than 100 scholarships to 2016 prospects. Oregon, in particular, strives not only to get a player who fits physically, but also characteristically. Most of the research on each prospect is complete before he receives a scholarship offer from the Ducks. 2016 would be a good year to experiment with a compromising combination of the two recruiting theories. This may be the year in which Oregon has more top-notch talent verbally express interest in the football program than ever before. Why not capitalize? 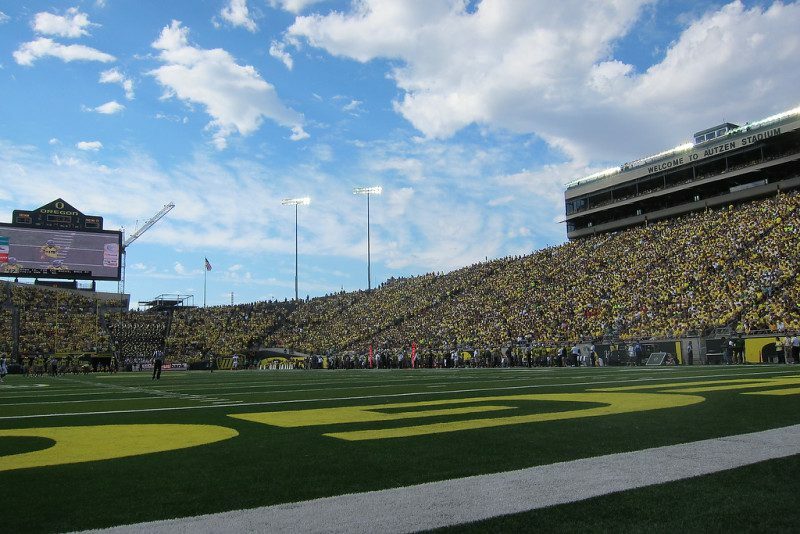 Linebacker is a position of need for Oregon, and two 5-star studs who have shown interest may not hold a scholarship offer from the Ducks: Keion Joyner of North Carolina and Lyndell Wilson of Alabama. Scout.com has Wilson holding an Oregon offer, but 247sports.com has not recognized it. Stellar linebackers are always welcome at Oregon. Two 4-star inside linebackers interested in the Ducks are JaQuan Yulee in Virginia and Joel Dublanko in neighboring Washington. When highly-ranked ILBs show interest in traveling to Eugene, it’s important to keep that interest high enough to have a shot at landing them. The next prospect I would offer is a former teammate of 2015 commit Taj Griffin. 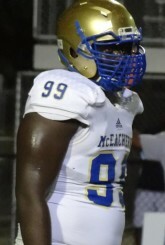 Julian Rochester plays defensive tackle in Georgia, and has shown interest in Oregon despite not having a scholarship offer. Rochester is at least a 4-star prospect. I like several cornerbacks, including Levonta Taylor from Virginia (5-star) and three 4-stars in Kristian Fulton from Louisiana, Trevor Sydney in California, and Isaiah Gilchrist from Washington. Fulton will be difficult to pull from LSU, and Taylor would be a great start to establishing a Virginia pipeline. Sydney and Gilchrist, meanwhile, are conveniently on the West Coast. A lockdown corner would be very helpful for the Ducks, and any of the above would do nicely. I also like California safety Shurod Thompson. Landing Thompson with Brady Breeze would solidify a strong future in the defensive backfield where Oregon has seen so many great players over the years. 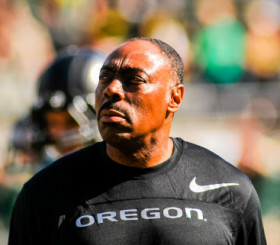 The football coaches at Oregon find much success with the under the radar prospects. This was proven most recently when Oregon snagged ILB Fotu Leiato out of Washington. His highlight reel lit up the computer screens of thousands of scouts, coaches and fans across the country. I found only a few 4-star prospects that may qualify as “under the radar,” as such prospects usually land in the 3-star range. The first is 4-star Arkansas ILB Deontre Hardwick, who touts zero major offers. Similarly, Andrew Fitzgerald is a 4-star defensive end from Texas who has not received a scholarship offer from any school in the power five conferences. With so much talent in Texas, it may be easy to overlook some real talent. Four-stars Braylon Jones and Maciah Long could be two such athletes. Jones is a defensive tackle who may join the military after high school, with Army and Navy listed as the only two offers. 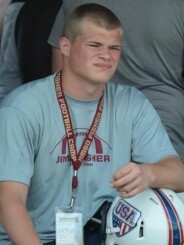 Long is an OLB with only three offers. Four more underrated studs could also play linebacker at the next level. These 3-stars have no more than two scholarship offers each, and Oregon would do well get on the board early. Two of these prospects are California preps Cvaughn Stewart and Marcus Moore. Stewart is 6-foot-4 and 240 lbs. ; ideal size for the position at the next level. Moore has similar size at 6-foot-3, 230 lbs. Stopping the run would be less of an issue with these two beasts. The other two prospects are Nikolas Daniels from Texas and Michael Geraghty from Nevada, each of whom play defensive end in high school. Daniels is small at 6-foot-1, 220 lbs., but would look good as an OLB. Geraghty is a bit beefier at 240 lbs. Standing at 6-foot-2, he could make a great OLB. All in all, I believe Oregon should offer scholarships to at least 100 more football players within the next two months to improve its chances of landing that elusive top-10 class. With a solid start and momentum from the 2014 season, the Ducks have a great chance to sign the best class in program history. I think the key will be the amount of offers sent out, which will ideally mix Oregon’s deliberate approach with the SEC’s shotgun-style recruiting.